November 7, 2017 (ATLANTA) — Henry County Schools (HCS) achieved an average deployment rate of 1,000 student devices per hour using Incident IQ™. HCS completed a 36,000 student device deployment and assignment in under two months — averaging two hours per school across more than 50 schools in the district. Incident IQ is a K-12 technology support platform that is designed to streamline help requests — and when used to manage device deployment — enabled HCS to assign hardware to students in a matter of seconds. It often takes multiple days to deploy devices to a large school. However, with the productivity gains realized by Incident IQ, individual schools — elementary, middle, even large high schools — assigned and deployed devices to students within a single morning. The differentiating factor is Incident IQ’s asset management tools. 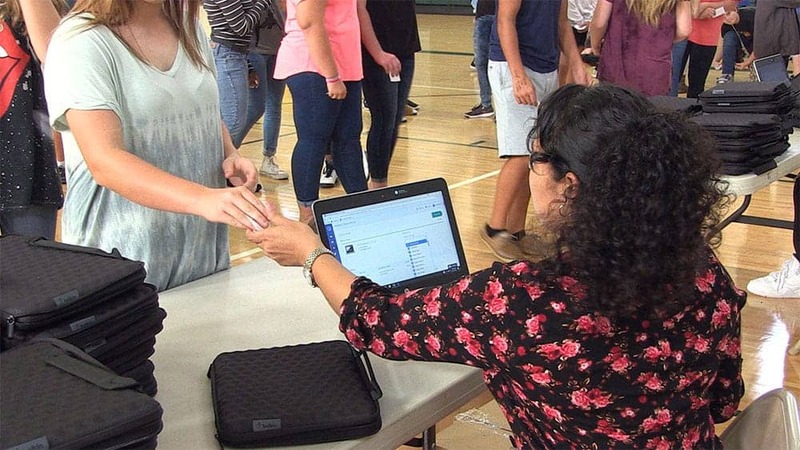 Distributing and assigning devices to students is as simple as a scan and a click, and the device is ready for student use. The Incident IQ platform ties asset data to student user profiles synced with the district’s student information system. This ensures that devices are accurately matched to the assigned student from the moment devices are distributed. To learn more about Incident IQ, and how it helps school districts with hardware, software, and facilities support, visit IncidentIQ.com. Incident IQ is the help desk and support platform built for schools to manage hardware, software and online information systems that K-12 districts rely on to deliver 21st century teaching and learning. Incident IQ makes it easy for teachers and students to access help quickly. It empowers the entire IT team with efficiency tools for instructional technology support, hardware technicians, network managers, and student data and information systems specialists. Incident IQ provides district leaders with rich analytics for improved, data-driven decision making. Additionally, Incident IQ has a suite of asset and facilities management tools to aid districts that need a comprehensive solution. Using single sign-on, Incident IQ can be accessed from any web-connected desktop or laptop and is also available via native iOS and Android apps. Learn more at http://www.incidentiq.com/. LEXICON TECHNOLOGIES, the stylized LEXICON logo, LEXICON K-12 SOLUTIONS, INCIDENT IQ and the stylized INCIDENT IQ logo are trademarks or registered trademarks of Lexicon Technologies, Inc. All other trademarks are the property of their respective owners. Copyright © 2017, Lexicon Technologies, Inc. All rights reserved.